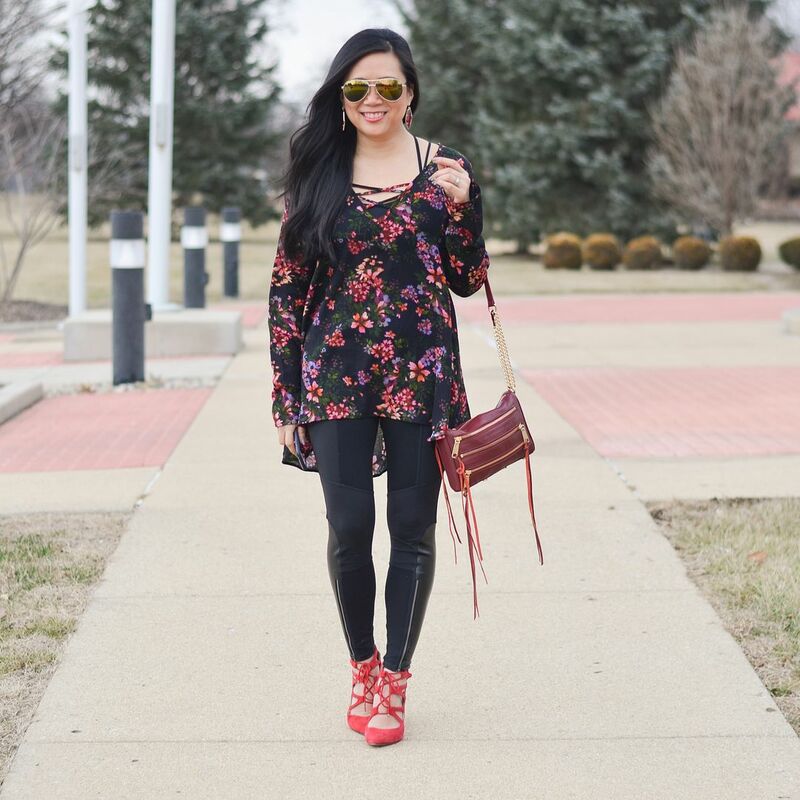 This floral tunic makes my heart sing! I was so excited to see it online - the dark floral print is so good, and you know I love my strappies! It's definitely very roomy, so I decided to just let the oversized fit do it's thang and wear a strappy bralette underneath it, which is why you're seeing the straps at my shoulders. It's tricky because it almost looks like the straps are part of the tunic! I love when I'm too clever for my own good. 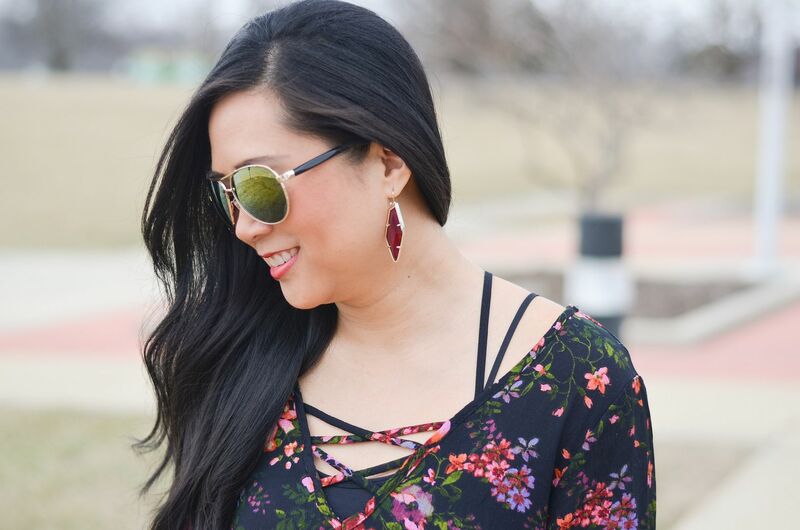 Since I love pairing sweet and spicy together, I quickly reached for my new Athleta leggings with zippers and faux leather to wear with the floral. I say they are new, and they are - I just got them in the past month - but I've worn them a half a dozen times already. I got them in a petite small in case you are curious! It's been quite busy the last couple of weeks and in all facets of my life! Work is such a scramble right now trying to prepare for our big event in a couple of weeks. Blogging hasn't been super hectic since I've cut back just a little, but last week's TV appearance was so very exciting for me and I also just booked my ticket for the rewardStyle conference in April. Two huge blog milestones! (If you're going to the conference BTW, please let me know!!) And then there is Pilates, which is busy in and of itself! In a good way, of course. I'm very positive that having to do Pilates so often keeps me sane given everything on my plate at the moment. And then there is home life! We are in between renters at our rental property, and while we do have a prospective replacement tenant, there's a lot of stuff that we need to do to the house before they move it. Odds and ends, including replacing the kitchen appliances. We thought it made more sense to move our appliances in our current house into the rental house and buy new appliances for ourselves. So, that's what we spent most of our Saturday doing - appliance shopping. Then our bed literally broke on us last week. We could fix it, but we haven't been crazy with the mattress situation. I've been wanting an adjustable bed FOREVER, and we finally caved and bought one. Everything arrives next weekend and I could not be more excited!!! Whew! Told you it's been busy! At least I'm feeling productive, and productive is always a good thing even if I'm exhausted by 8pm!! Have a great week! Thanks for taking time out of your day to stop by! this look is so cute, I love this tunic. Happy you are going to the conference I'm sure you'll find people that are going and it will be fun. Those leggings are super cool!! What a way to add fun to this item!! What a pretty top! You know you're an adult when you get excited about new appliances, right? Ha! Such a pretty tunic!! You look amazing like always! Isn't adulting fun?! Our microwave just went last night, so I know what I'll be shopping around for today, ugh lol! 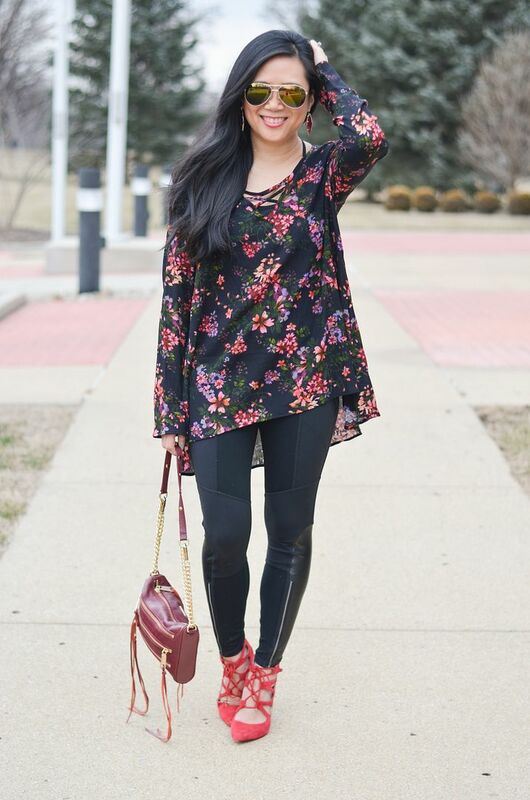 Love the leggings you paired with this floral tunic! Very cool mix of styles. Thanks for the link up Carylee! Ah! 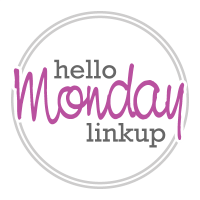 So much stuff happening on the sidelines of your life right now on top of your very busy pilates/work/blogging schedule! I am impressed with how you manage to do it all and look so incredibly stylish every day! Love this top and how perfectly it compliments your bag. Great outfit! That top is SO super cute! Congrats on the tv appearance and the rS conference. You go girl!! Loving this floral on you. I love the oversized look of this tunic. It makes it so much for flowy, which I love. Def sounds like things have been busy - I know how crazy it can be to manage it all but you got this. I love how you paired the leggings with the tunic! Getting invited to rSCon is one of my life goals! I hope it is a blast! This top is like the perfect mid transition to spring, I love the colors and the shoes are so chic! I love a good dark floral for winter- you get your flower fix without looking too spring-too-soon. :) Happy Valentine's, lady! I need those leggings! super cute look! Love that you used a Fabletics bra underneath! 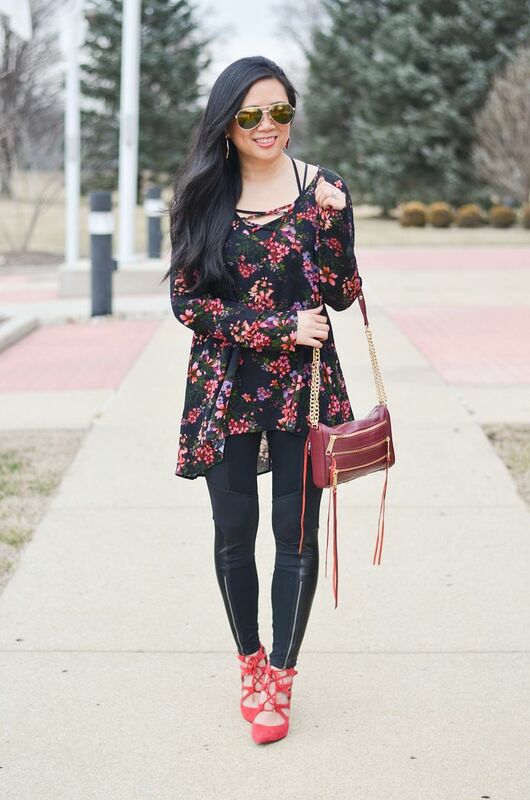 Dark florals are always a hit.